Fifty years ago this week, on February 9, 1969, the first Boeing 747 took wing from Paine Field in Everett. Christened the City of Everett, the jumbo jet flew for more than an hour while a three-man crew performed a series of tests, including sideslips and a simulated loss of hydraulic power. A few months earlier, the public got a close-up of the plane at its rollout, and many were impressed by its sheer size. The 747 was more than twice as big as Boeing 's first commercial jet aircraft, the 707. The 747's maiden flight came on the sixth anniversary of the first Boeing 727 flight, which took place at Renton Airport on February 9, 1963. The 727 was popular for shorter routes, and airlines liked its technical innovations, including a central "airstair" that later played an infamous role in the legend of D. B. Cooper. But as more people took advantage of jet-age travel, larger planes were needed, and by the time the Boeing 747 was rolled out, 26 airlines had already placed orders. 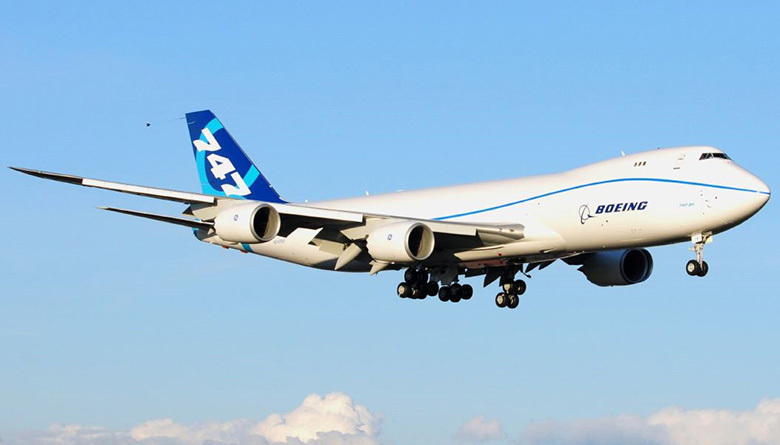 The 747 went on to become one of the most recognizable aircraft in the world. Finally, we note one more anniversary this week in the history of Boeing aviation. On February 8, 1933, the first Boeing 247 took to skies from Boeing Field. The 247 was fast for its time, with a top speed of more than 200 miles per hour, but airline companies preferred the new Douglas Aircraft DC-2 instead. The two airplane manufacturers remained rivals for decades afterward until their merger in 1997. Forty years ago this week, on February 13, 1979, a massive storm blasted the Hood Canal Bridge with 80-to-120-mile-an-hour winds. High waves pounded the span until the western section broke off and sank (a fate that would befall the Lake Washington Floating Bridge in 1990, that sinking abetted by human error). The Hood Canal Bridge took three years to repair, during which time an old ferry run was resurrected between Edmonds and Port Townsend to supplement existing ferry service to and from the Olympic Peninsula. The Hood Canal Bridge was controversial from the start. Floating bridges work best on calm lake waters, but the fjord that is Hood Canal is subject to tides, high winds, and choppy waters. Highway Director William A. Bugge gave assurances that the design was sound, although once the bridge opened it required constant maintenance due to jostling from high waves and storms. Two years before it sank, the bridge was renamed in Bugge's honor. In 2003 work began on replacing the 40-year-old pontoons supporting the eastern half of the bridge. A shoreline site in Port Angeles was selected for a graving dock where replacement sections would be built, but during its construction workers uncovered a shell midden. Further discoveries revealed the largely intact Klallam village of Tse-whit-zen under layers of industrial rubble and fill. The graving dock construction site was abandoned at a loss of some $60 million and relocated in Tacoma, a city that once needed some remedial bridgework of its own. This week marks two dark moments in Seattle history, both of which took place on February 7. The first came in 1865, when officials for the newly formed town passed its fifth ordinance, calling for the expulsion of Indians. The law became moot when the town government was dissolved two years later, and the ban on Indian residents was not re-enacted. But on February 7, 1886, an attempt was made to remove the city's Chinese residents, this time by mob rule. On February 12, 1914, a ceremony in Port Angeles celebrated the arrival of electricity from the Elwha River hydroelectric project. But progress came with a price: the loss of massive, multiple runs of salmon and steelhead. In 2011, after other energy sources powered the peninsula, demolition began on the dam, and within a few years hundreds of thousands of salmon were once again able to run free between mountains and sea. On February 13, 1968, King County voters approved Proposition 6, a Forward Thrust Parks and Recreation bond that provided much needed funding for King County parks. Voters also approved bonds for a new stadium and an aquarium, but opted against funding a regional rapid-transit system, much to the dismay of present-day commuters.